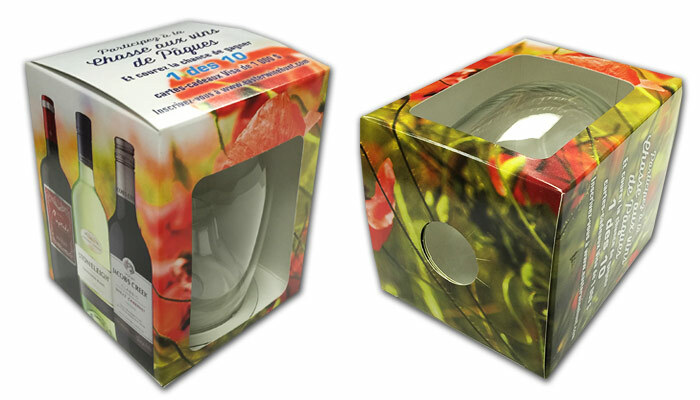 Promotional packaging is a vital component to a successful campaign. 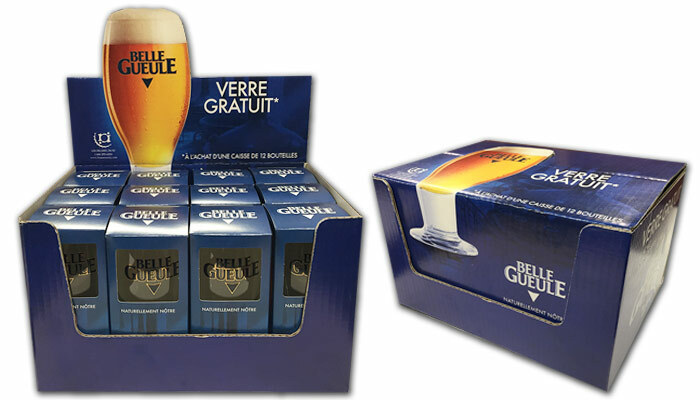 Consumers are impressed with colourful, informative packaging that relays the message of the FREE / BONUS gift they are about to receive. 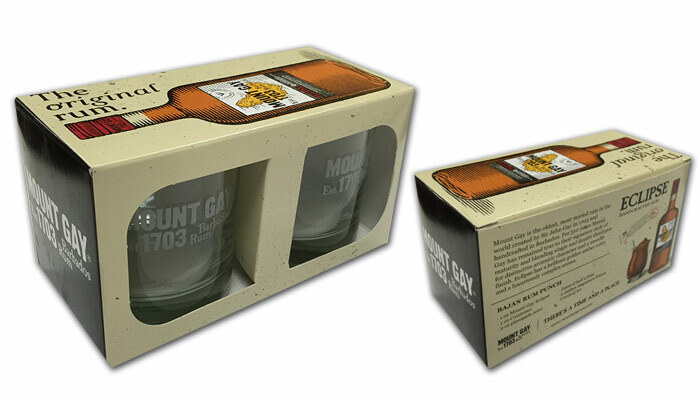 With over 20 years of experience in glassware branding and packaging, Zenan has the right solution for you. 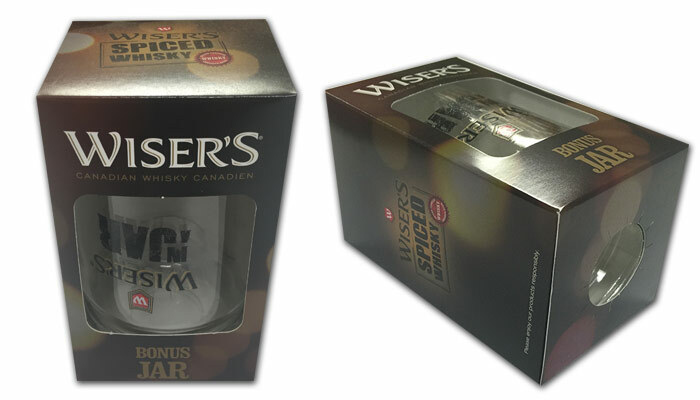 Individual gift boxes are all printed in Canada, with the best quality 18 pt white board paper available. 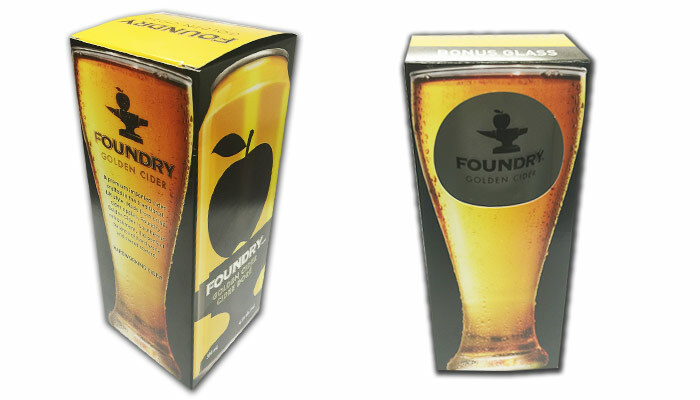 Packaging is done right in Zenan’s on-site facility, so customers receive the finished product direct, ready for your sales team to promote. 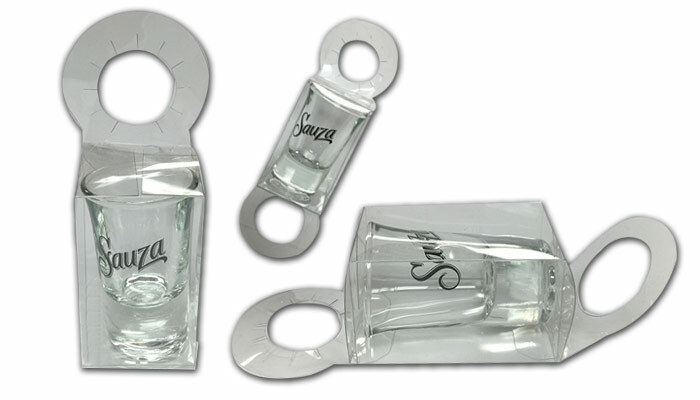 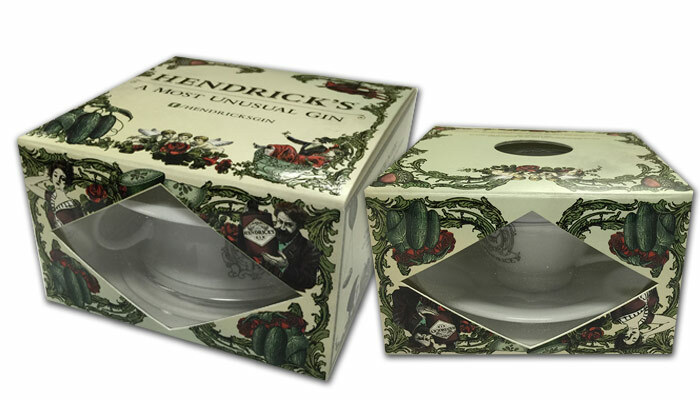 Clear or printed acetate boxes with bottle neck loops to hang on the bottle in retail. 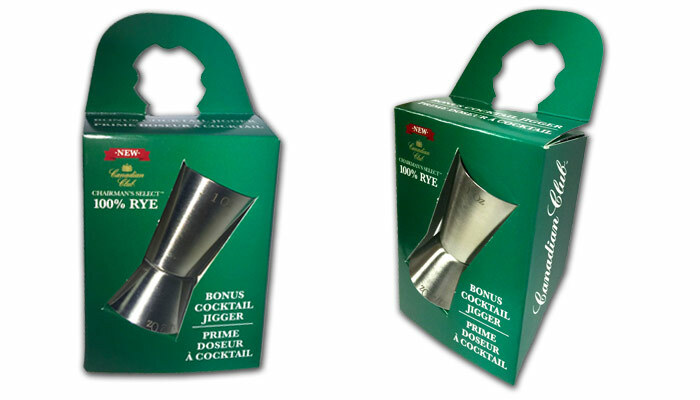 Corrugated, end flute or 24 pt 4 colour process printed holders for shot glasses, jiggers, small barware items and textiles. 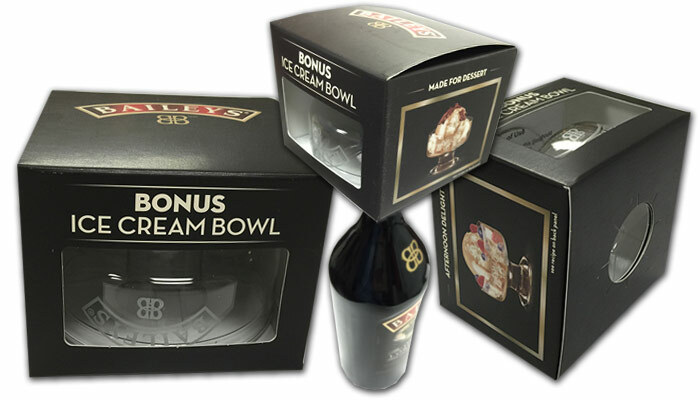 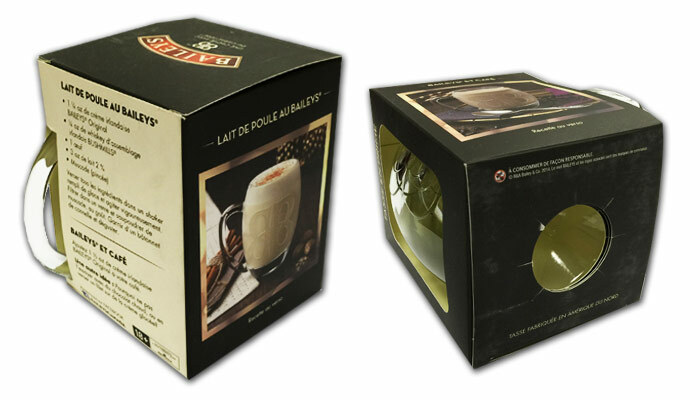 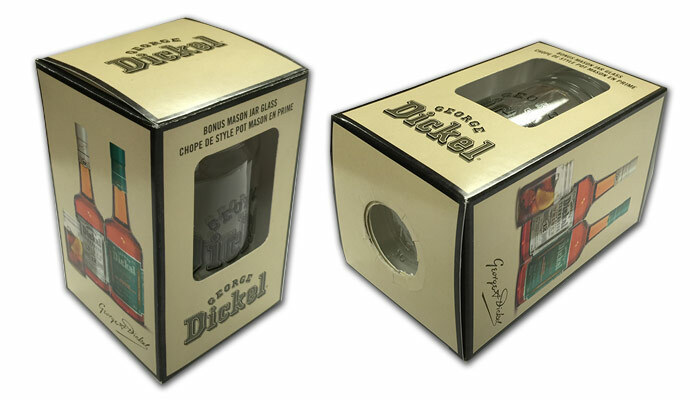 Foam D tape can be added to the individual gift boxes for direct carton application in retail. 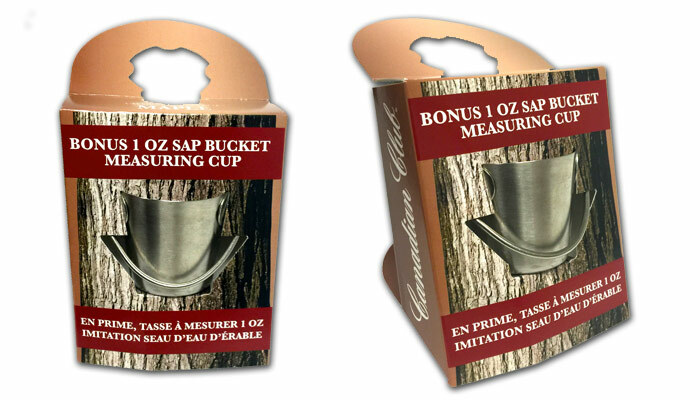 For counter top promotions Zenan offers a great solution. 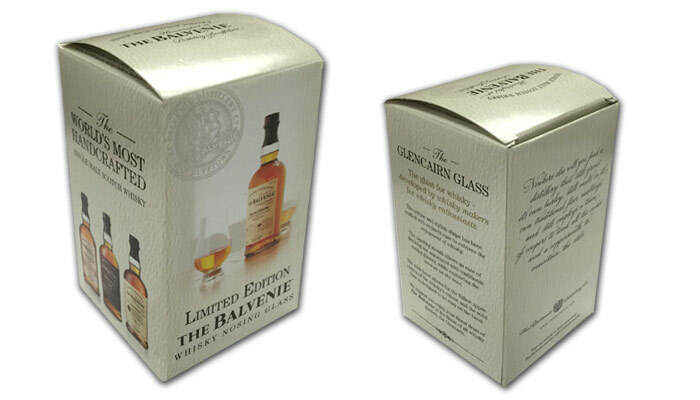 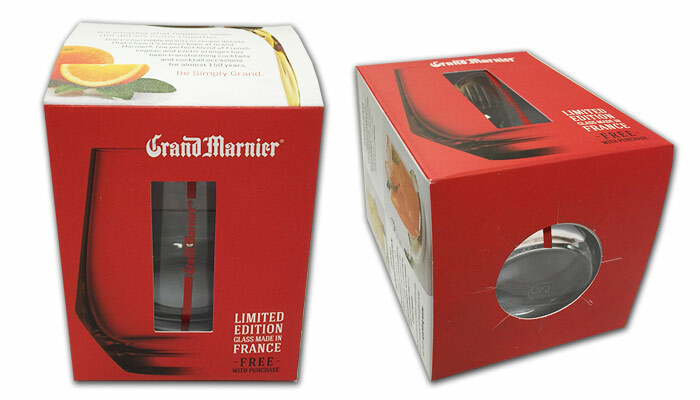 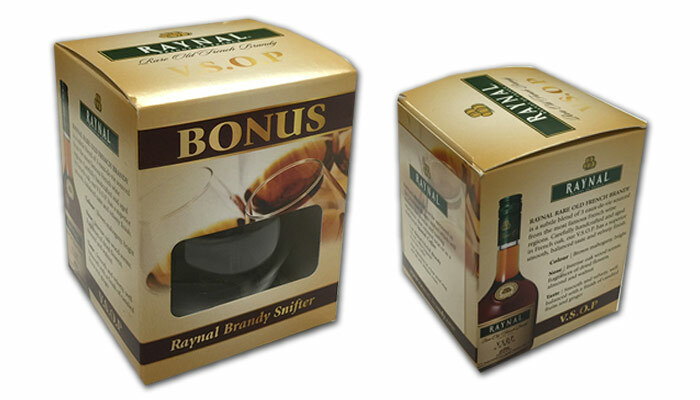 Our counter top display box, holds 12 or 16 glasses with a beautiful header piece to communicate your promotion. 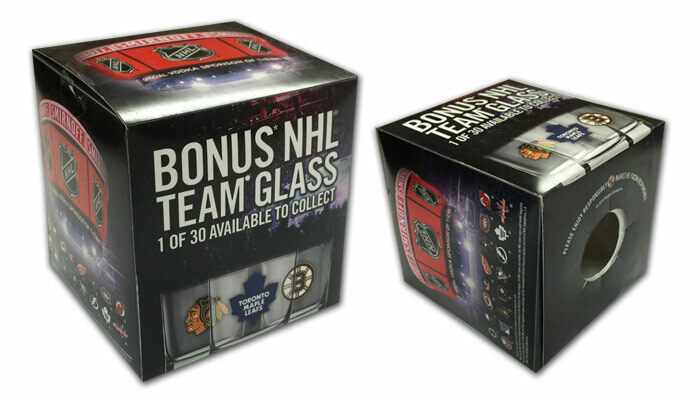 CUSTOM ROCKS GLASS WITH NHL EMBOSSED AT THE BOTTOM WITH NHL TEAM LOGO. 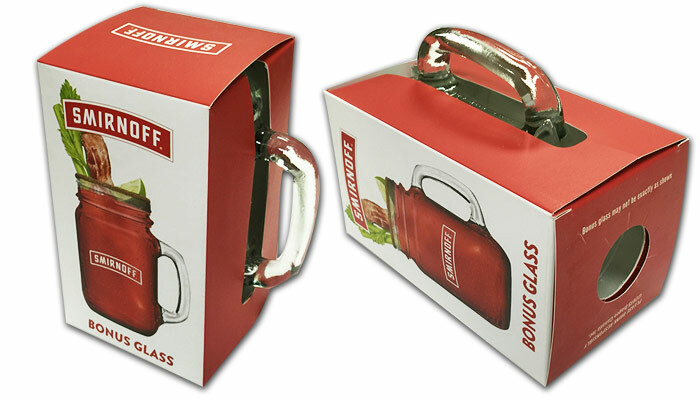 GLASS REPACKED TO GIFT BOX WITH CONE TO FIT SMIRNOFF BOTTLE. 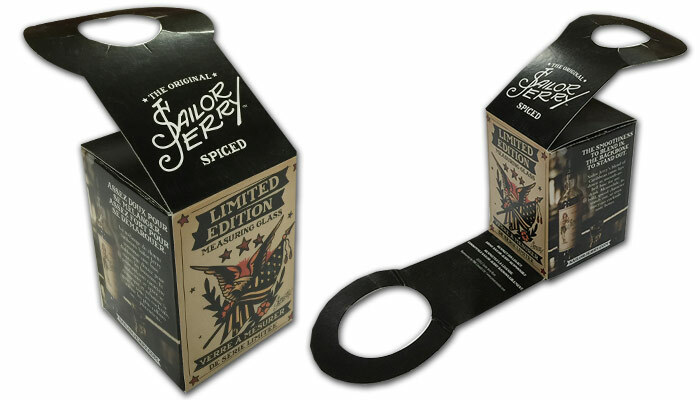 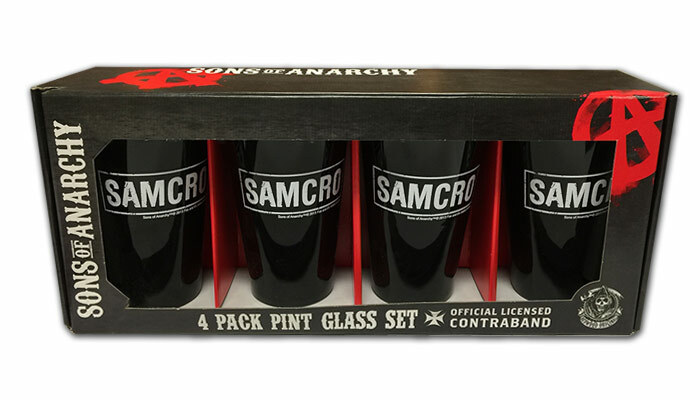 CORRUGATE GIFT BOXES FOR 10oz SHOT GLASS. 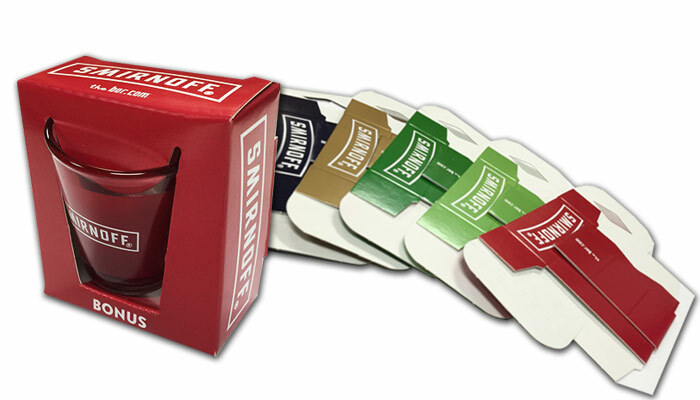 THIS KIND OF GIFT BOX HAS HANGERS TO FIT SMIRNOFF BOTTLES. 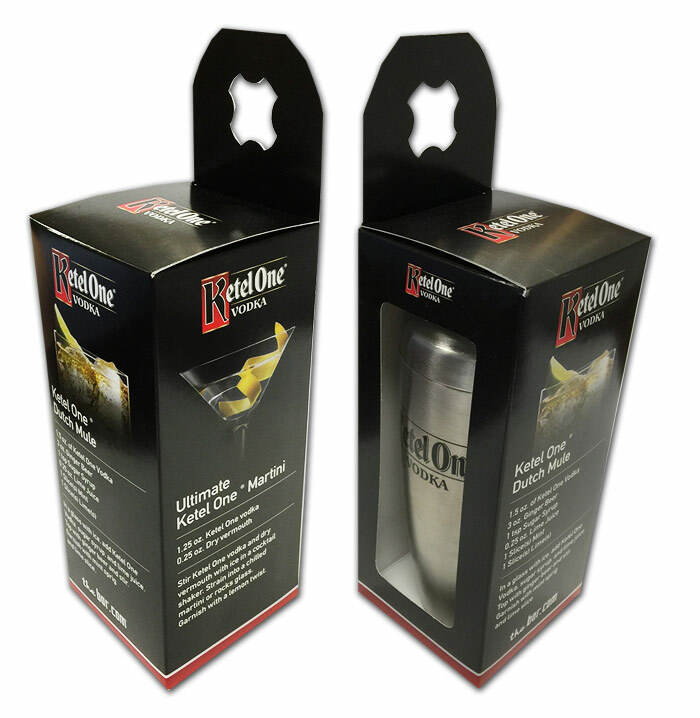 10oz SHOT GLASS WITH SMIRNOFF LOGO REPACKED IN A CORRUGATE GIFT BOX WITH HANGER TO FIT THE RED SMIRNOFF BOTTLE.